Click on "Developer Website" or "William Lewis Website" below to see VeinSeek Pro in action! VeinSeek Pro is an augmented reality 'vein finder' application for your smartphone. 1) Hold your iPhone at least 10 cm (4-5 inches) away from the skin. 2) Turn the flashlight on by pressing the flashlight icon at the bottom left of the screen. 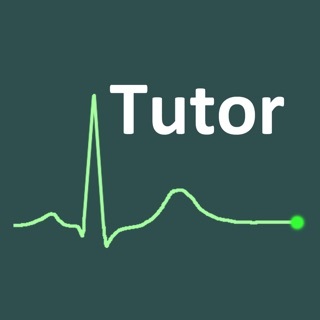 3) Adjust the contrast with slider to the *lowest* setting that allows you to see veins well. 4) If you still can't see veins, try a physical maneuver; lower an arm vein below the level of the heart, or use a tourniquet, for example. 5) If all of the above fail, try looking at a different site. VeinSeek will not perform as well as ultrasound for deep veins. Please leave us a review on the App Store! 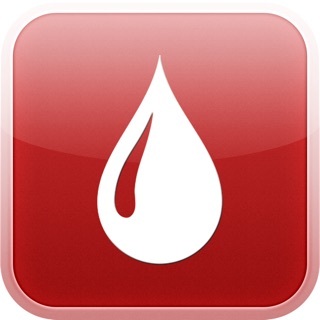 VeinSeek is an augmented reality 'vein finder' application for your smartphone, and allows the user to see some veins that would be otherwise invisible to the naked eye; VeinSeek Pro improves and extends the functionality of the original VeinSeek app. VeinSeek Pro offers better performance in a range of lighting conditions. Users can adjust the intensity of the effect to adapt to bright or dim environments and different skin types. Screenshots can be easily captured via the camera button and stored to the iPhone's photo album. 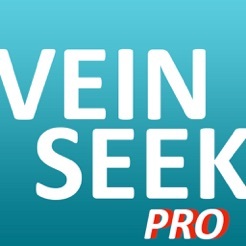 Disclaimer: VeinSeek Pro is not intended for the diagnosis or treatment of disease. The creators of VeinSeek assume no liability for the use of, misuse of, or inability to use, the VeinSeek app. VEINSEEK PRO IS NOT DESIGNED NOR INTENDED FOR ANY APPLICATION IN WHICH THE FAILURE OR MISUSE OF VEINSEEK PRO COULD CREATE A SITUATION WHERE PERSONAL INJURY OR DEATH MAY OCCUR. I’m a paramedic and was looking for a cheap alternative to a vein finder for patients that are “hard sticks”. I just downloaded this and I’ve been using it to look at veins on myself and my partner and it seems awesome! I’ll admit that I wasn’t expecting much from an app, but this app already exceeds my expectations. 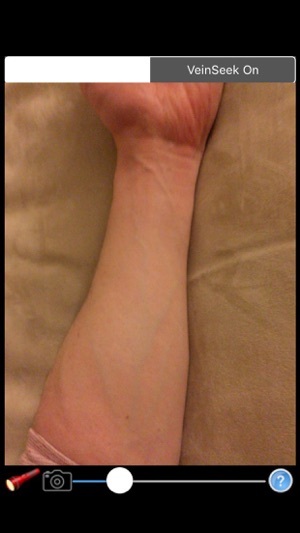 It’s not magic and I don’t expect it to show every single vein, but it DOES show veins on my arm that I cannot see. 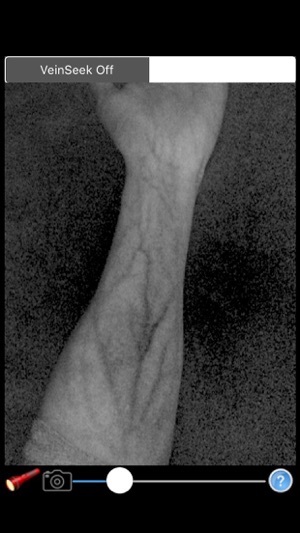 And on veins I can see, it shows which direction the vein goes. I have not yet used it for starting an IV, but I will definitely be using it as it will be nice to have a place to start on patients where you can’t seem to find anything. I imagine this will (at the very least) give a good idea of where to start. I also see this being useful when you miss an IV and the vein feels like it’s right next to the needle to potentially save the IV and save the patient from another IV stick. Concerned that this actually works. I'm a physician. I have a handheld ultrasound machine 15K not including the cost of my linear probe. But I bought this to see if this actually works. I'm a bit concerned that it does work in the middle of an IV drug epidemic since anyone can buy this, I hope this doesn't help people overdose. I think this has the potential to be dangerous. You do have to adjust the screen and hold of 6 inches from the Arm like the developer said in a response to a poor comment. 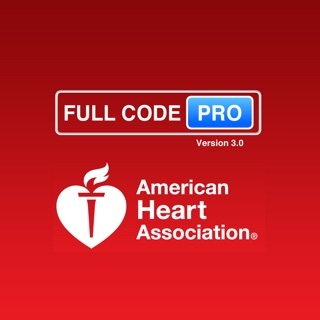 I can see this being useful although not as good as the vein finder or an Ultrasound if you don't have access to either it is well worth the $5. What is really needed is this technology to be an app for smart glasses for it to be optimally useful. Imagine your nurse starting your IV with a VR headset with camera only augmented vision to find your veins. That would be cool. Very much worth the $5. My charge nurse asked me to start an IV on a patient that wasn't mine, edematous, and a very hard stick. Got it on the first try without a visible vein (only found in with Vein Seek Pro.) Marked my top and bottom point and aimed between the lines. Went a little crazy and decided to check all the staffers veins too. Works great on light, medium, and very dark skin! It's not going to keep veins from rolling but the finding is much easier. The only con I had was that it didn't work well on folks with extensive tattoos on their forearm. Ink interferes with the light spectrum. Other than that, worth every penny!